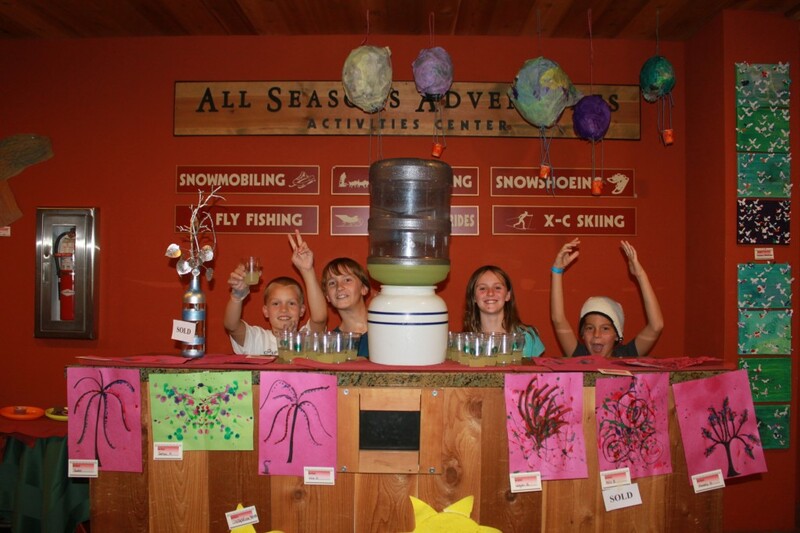 Deer Valley’s Summer Adventure Camp has been entertaining kids for 19 summers. 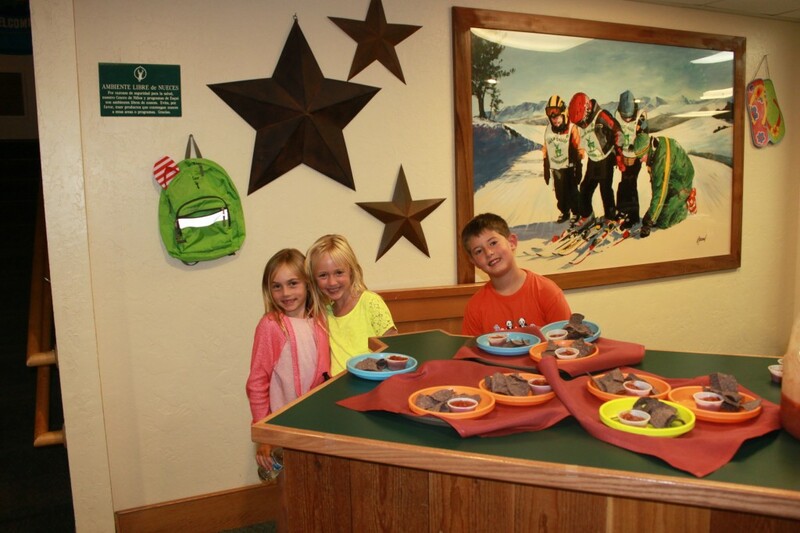 Based out of the Children’s Center at Snow Park Lodge, Deer Valley Summer Adventure Campers experience hiking trails, biking, lots of guest speakers, hillside playgrounds, bouldering, a rock climbing wall and a full supply of craft projects, games, puzzles, videos and books to complement the outdoor activities. Each summer the campers participate in S.A.V.E. (Summer Adventure Volunteer Effort), which raises money through an art show for a selected organization. Some of the past recipients have been the Carmen B. Pingree School for Children with Autism, Recycle Utah, Wrightsville Beach Sea Turtle Project and the Blind Children’s Learning Center. In 2013, the kids raised $772 for the Ocearch Organization. 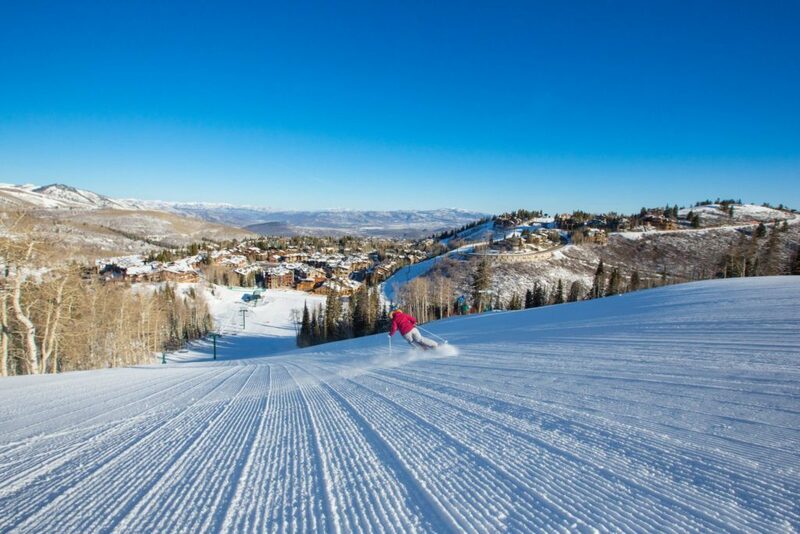 Before the Art Show this year, I spoke with Deer Valley’s Children’s Programs Manager, Mya Frantti, to see what the Art Show was all about. Ryan: Where did the idea of an annual Art Show come from? Mya: The idea of the Art Show came from a brainstorm between summer camp employees, while exploring what we could do to recognize local organizations and get the campers tuned into how important volunteerism is, what it adds to the child’s experience as a whole and connecting them to the community. 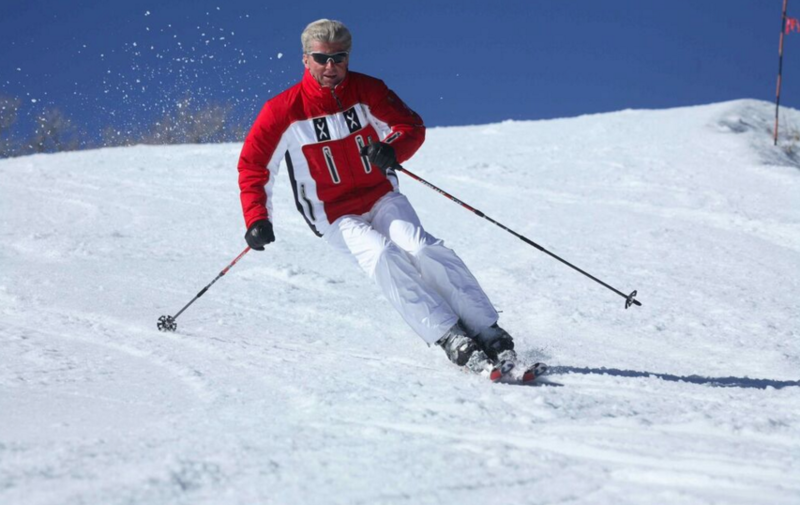 Ryan: How many years has Deer Valley been hosting the Art Show? Mya: We have been doing the Art Show for at least 10 years. Our first recipient was Whiskey, Deer Valley’s avalanche dog. He was sick and needed to undergo a very expensive procedure and the kids wanted to help out. Ryan: How do you determine where to donate the money? Mya: In years past we have given the campers a choice of a couple of organizations and they voted. This year the format was a bit different. The People’s Health Clinic did an outreach program with us throughout the summer. They first visited and explained what they do for the kids, then the kids made “goodie” bags for the dentist to hand out which included toothbrushes, toothpaste, temporary tattoos and stickers. After that, the campers went to visit the clinic. Ryan: How much money do you typically raise with the Art Show? Mya: Typically we raise between $700 and $1,000. Ryan: What do you think the kids take away from the experience? 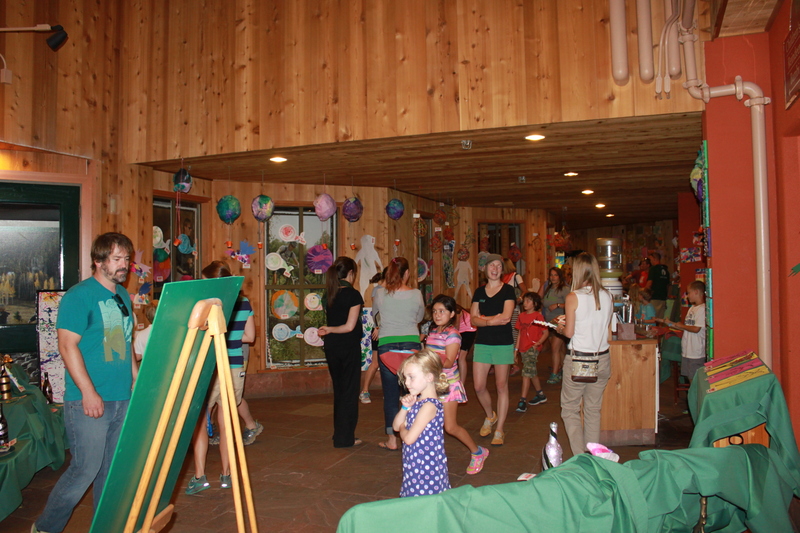 Mya: The Art Show is the culmination of the Summer Adventure Campers’ arts and crafts projects throughout the summer and presents an opportunity for their parents and Deer Valley staff to be able to give a donation for the art pieces that they would like to purchase. This year, the money raised went to purchase books for the People’s Health Clinic. They give each child a book who visits the clinic, whether they are there for their own appointment or with someone else who has an appointment. They are also starting a program for expecting moms, in which the mom-to-be receives a book each time she visits the clinic during her pregnancy. This way they have a starter library by the time their child is born. Ryan: Any idea who you will be donating to next year? Mya: Typically, we do not decide on the organization until early in the summer. 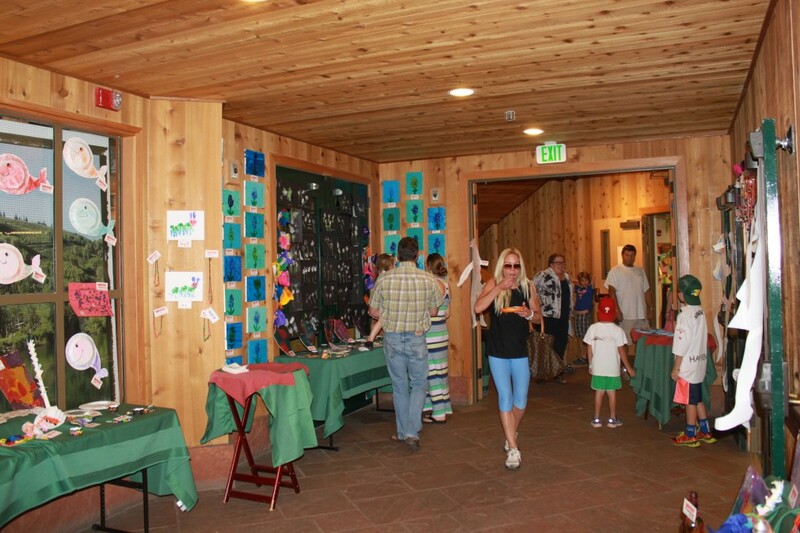 This was my first art show and I was impressed by the range of different art projects the young campers produced. Everything from hanging lanterns, hand print art, origami, flowers, figure paints and everything in between. 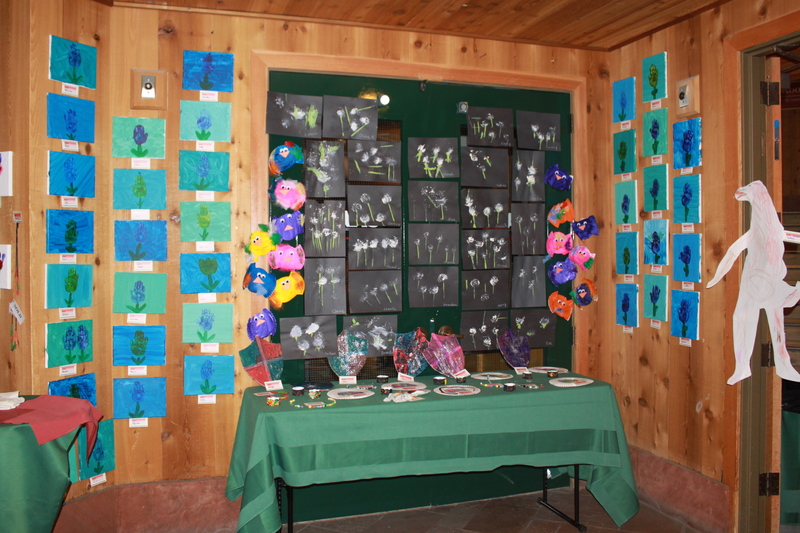 Art lined the halls of the Snow Park Lodge, inviting parents, community members and Deer Valley staff to browse the art work and buy their favorite pieces. I soon found out that the Art Show offered a lot more than just art. Complimentary drinks and chips and salsa were offered for those browsing the Art Show. The campers served these treats with a smile. The kids being involved really added to the overall environment. The show was a lot of fun for the campers, parents and Deer Valley staff. 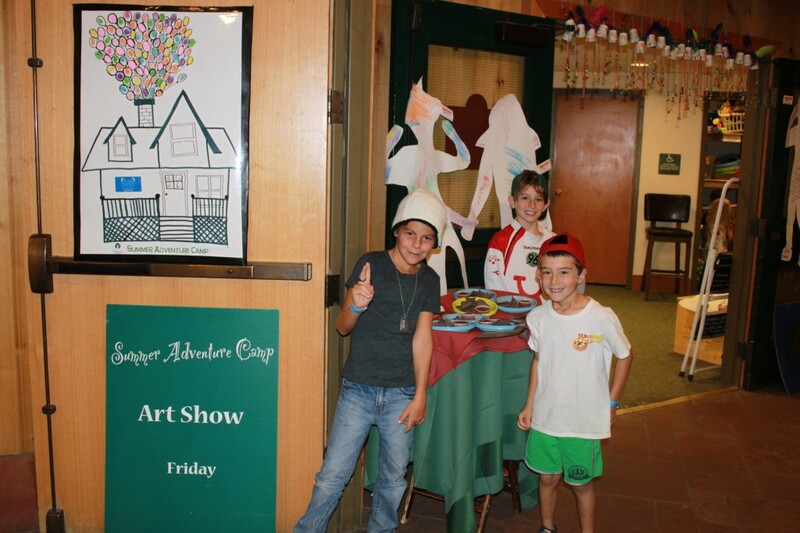 The annual Art Show is held the first week of August and allows the campers to proudly display the varied art projects they have worked on so diligently all summer. The pieces are available to purchase for a donation and this year, the kids raised $1,173 for the People’s Health Clinic. 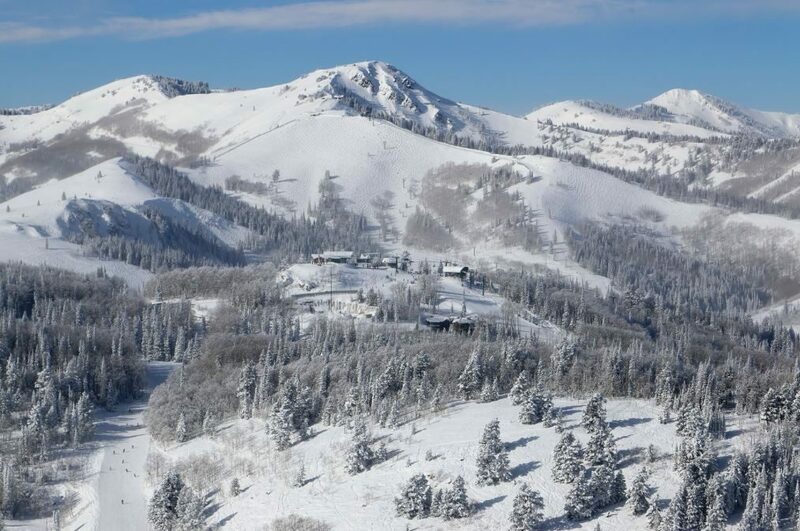 The People’s Health Clinic offers uninsured people who live in Summit or Wasatch Counties access to professional medical providers. They offer services such as; general medicine, pediatrics, chronic disease care, prenatal care, women’s health care, mental health services along with many other specialties.Other services offered by the People’s Health Clinic include referrals to low-cost diagnostic testing, free mammograms for women over 40, referrals to social services, job services and help with health insurance applications. 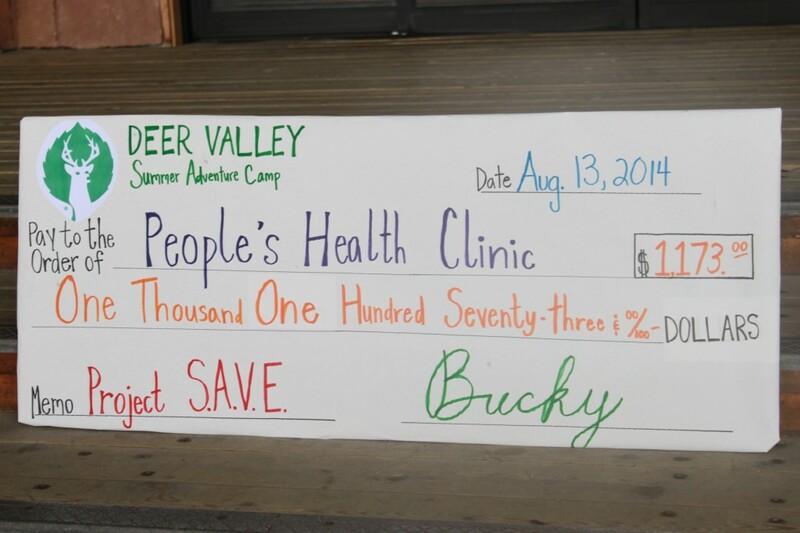 A few weeks after the Art Show, the campers were able to present representatives from the People’s Health Clinic with books that they were able to purchase from the money raised, as well as the really big check pictured above. The Executive Director of People’s Health Clinic, Nann Worel, took time to sit down with me and answer a few questions after the presentation. Ryan: Where did the idea to give every child a book when they come into the clinic originate? Nann Worel: We believe very strongly that health literacy is an important part of our mission. It is very difficult to live a healthy life if one is unable to read. Imagine how difficult life would be if you couldn’t read the instructions on a prescription bottle or read a food label in the grocery store. 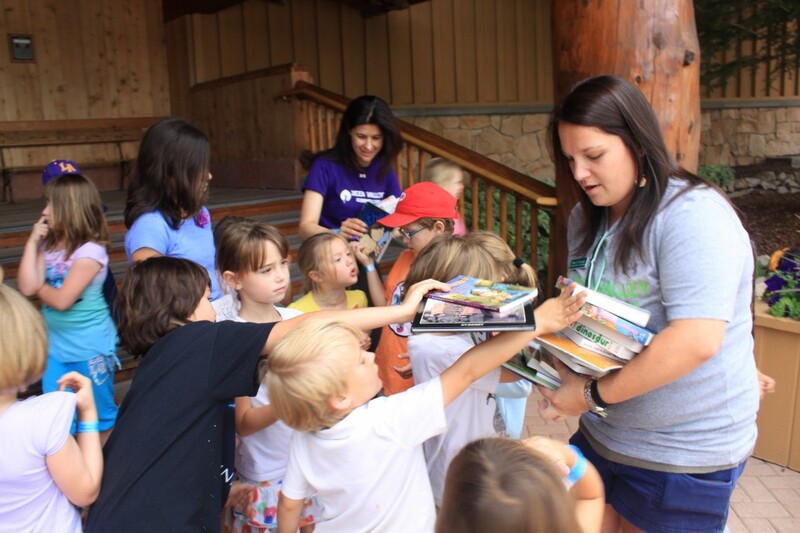 Statistically, low income children have one or NO books in their home so we wanted to encourage parents to read with their children and give them books to do that with. Ryan: How many books a year does the clinic give out? Ryan: How do you get all of those books to give away? 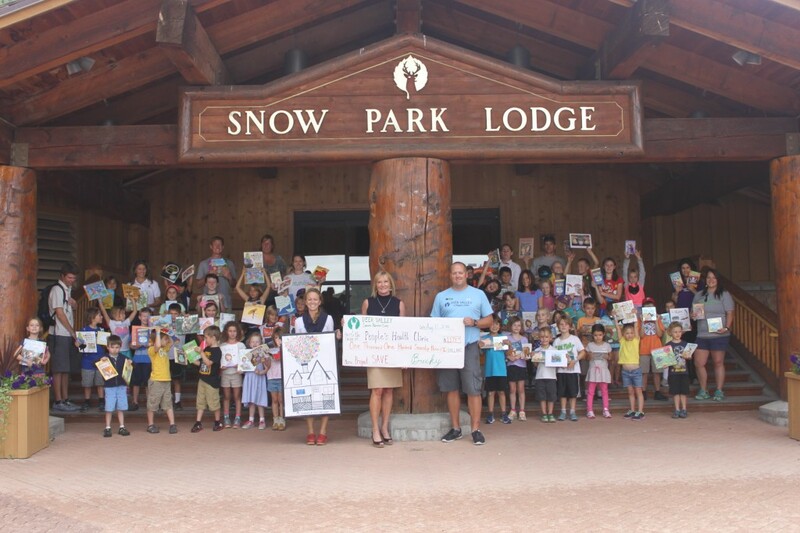 Nann Worel: Various organizations have children’s book drives for us throughout the year and we are frequently given donations with which to purchase books, like the Deer Valley Summer Adventure Camp did recently. Ryan: Are there other ways people can help out the clinic? Nann Worel: We are always in need of volunteers—whether they have a medical background or not. We also need financial support. Ryan: Are there other items the clinic needs? Nann Worel: We currently need new computers and printers, a portable tympanometer and a 3D probe for our Ultrasound machine. Ryan: How can people get involved?